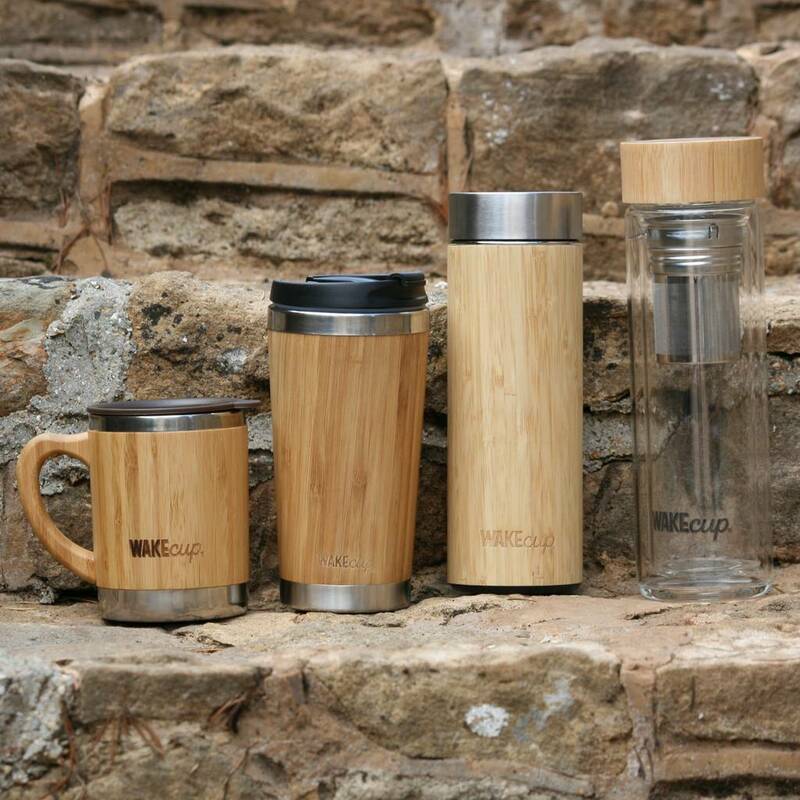 Limited Edition: A set of four stylish, recyclable, bamboo reusable coffee cups, mugs, tea infusers and water bottles. Our best-selling sustainable coffee cup, suitable for keeping drinks hot or cold for hours. Made from farmed bamboo with a stainless steel double wall inside. Your daily coffee will never have tasted so good. WAKEcup is organic, to keep it looking it’s best for many years to come, we recommend that they are washed by hand. 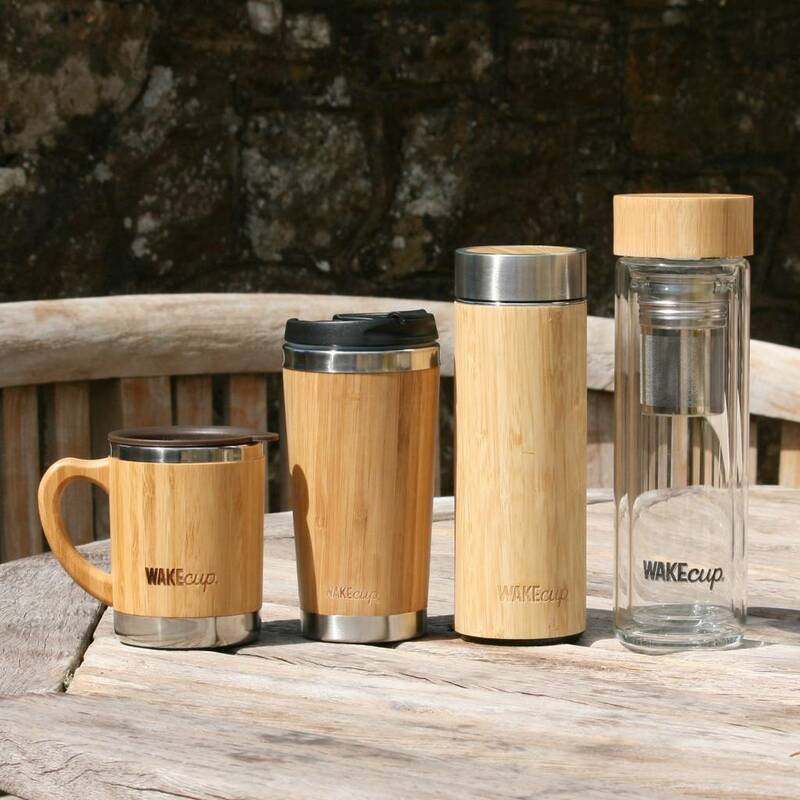 The WAKEcup stores 420ml of liquid which is about 6 extra slurps larger than the average mug size. 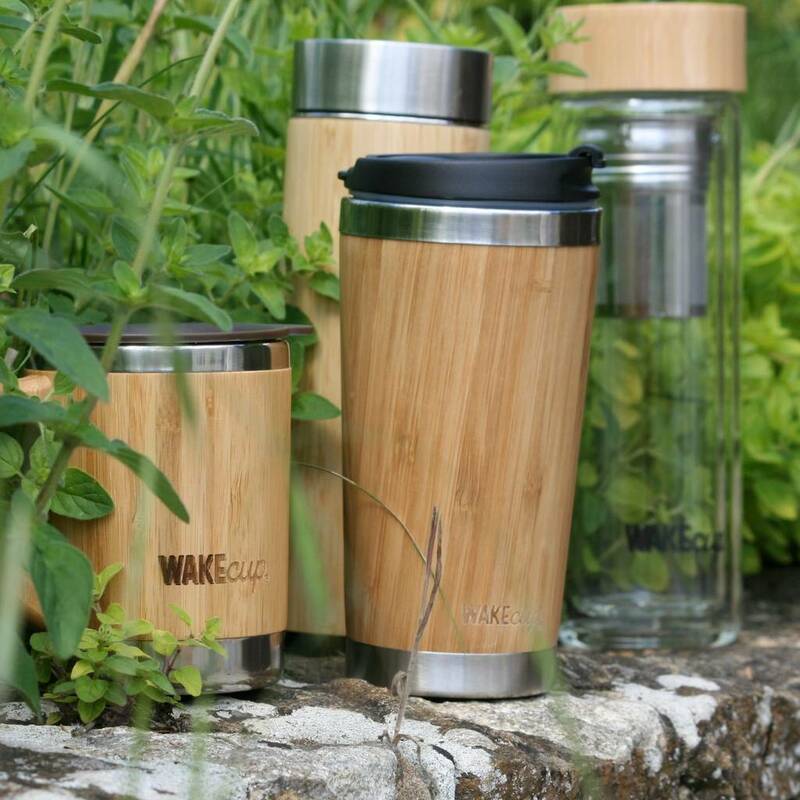 To celebrate WAKEcup's launch, we are offering all four of our sustainably sourced, resuable cups and bottles for a limited time only. Buying these all together will make a saving of £20, rather than buying them individually. For further information and specs about each of these four products, simply click on the item at the bottom of this page. 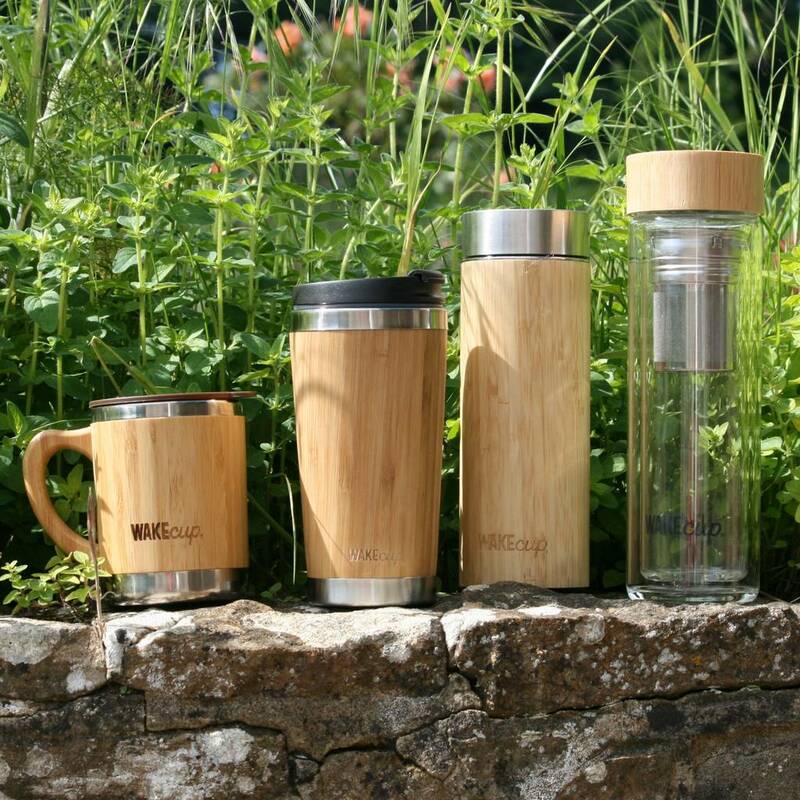 Sustainably sourced farmed bamboo, with a double-walled stainless steel inner case and a BPA free polypropelene lid.